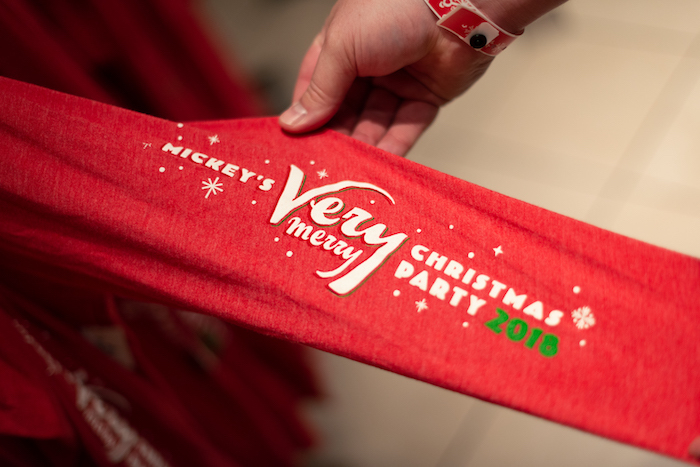 Join us for a peek at this year’s Mickey’s Very Merry Christmas Party exclusive treats, merchandise, entertainment and more! 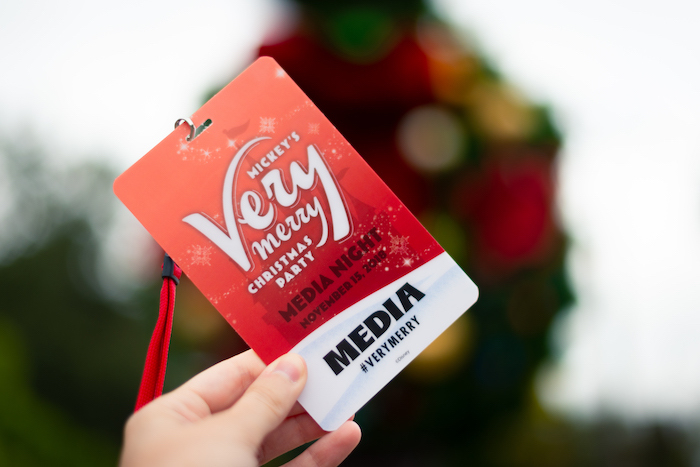 Media event lanyard for Mickey’s Very Merry Christmas Party. Photo by Courtney Reynolds. First, we would like to thank Disney for inviting us to this special media event and for providing admission to Mickey’s Very Merry Christmas Party so we could bring you this inside look! For this media event, we were given a tour guide to bring us along to some of the media stations throughout the park. 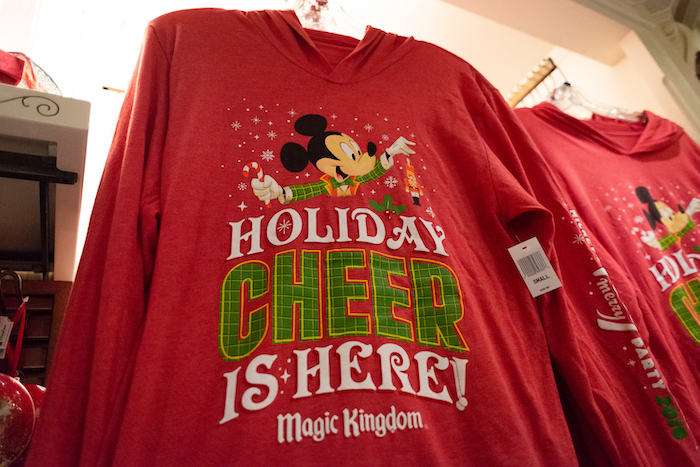 We learned all about the exciting new offerings that will be available exclusively at Mickey’s Very Merry Christmas Party, as well as other holiday happenings across Walt Disney World. We received a special media lanyard and a light-up Christmas bell necklace – another big “thank you” to Disney! 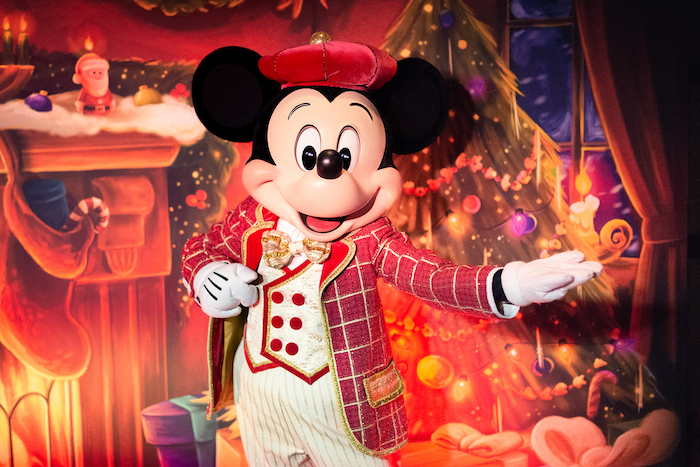 Mickey’s Very Merry Christmas Party started on November 8thand runs on select nights through December 21st. Ticket prices vary. 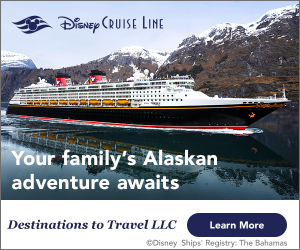 Make sure to take advantage of your AP or DVC discount! Information Guide, front and back. Photos by Courtney Reynolds. Information Guide, inside. Photo by Courtney Reynolds. Now that we have the basics out of the way, let’s talk about the different media stations we were able to attend. First up: Character Couture! We’ve talked about Character Couture before in our What’s New at Mickeys Not-So-Scary Halloween Party blog post. 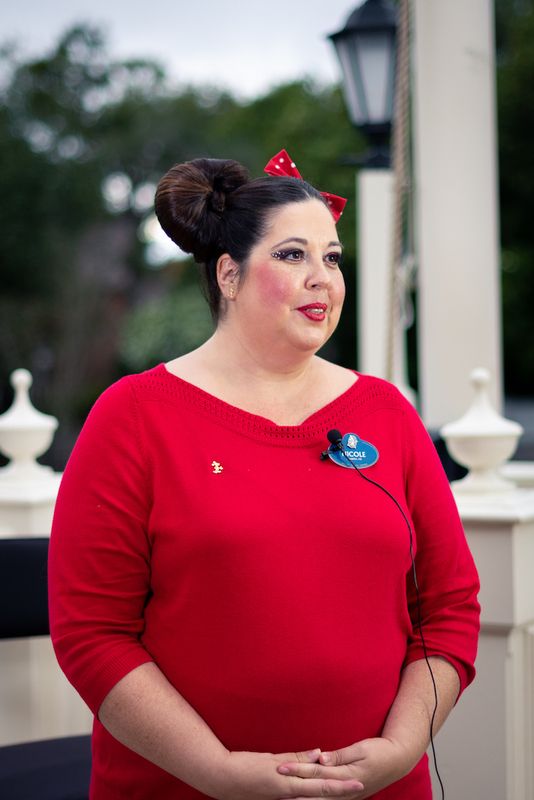 The Character Couture package is a character-inspired makeover experience for adults. Spruce up your holiday outfit with holiday-inspired makeup, hair, or nails! The great news is that this experience is actually available at select Walt Disney World Resorts all year round. To book your makeover, call 407-939-7727. Nicole speaks to media about holiday-inspired Character Couture looks. Photo by Courtney Reynolds. 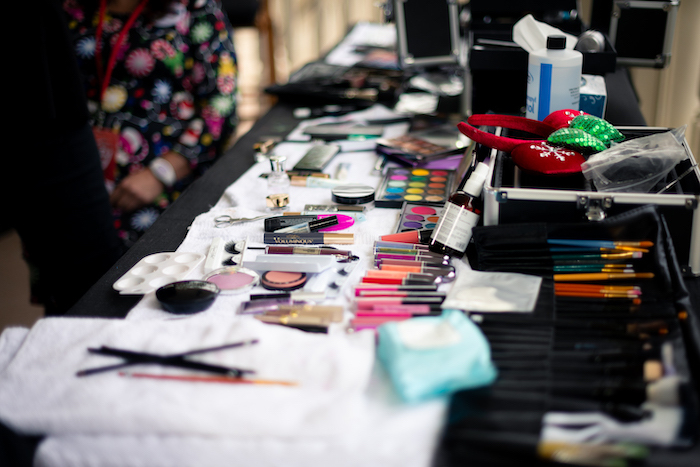 Character Couture makeup table. Photo by Courtney Reynolds. Character Couture makeover experience. Photos by Courtney Reynolds. 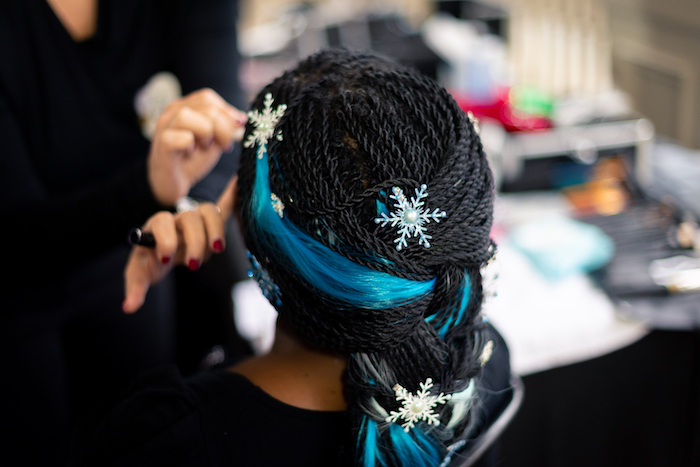 Elsa-inspired hair style. Photo by Courtney Reynolds. 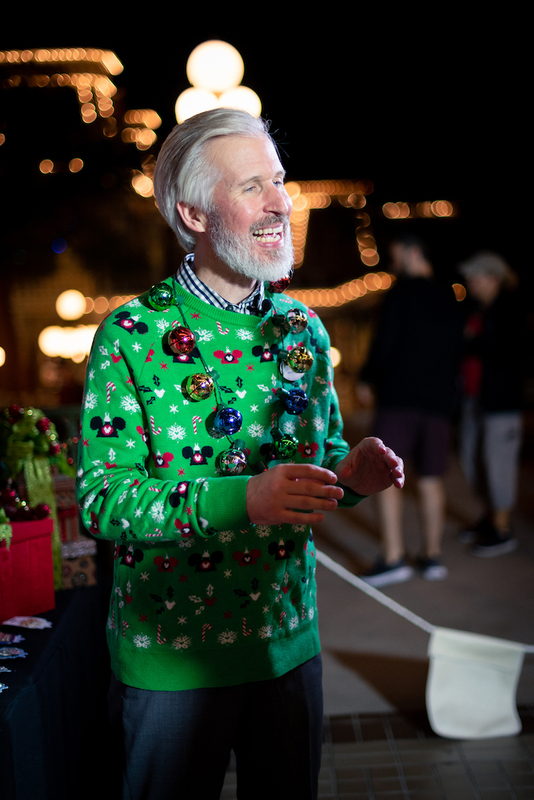 Next, we spoke with Brandon (Walt Disney World Ambassador, 2017-2018) who gave us a glimpse of the holiday happenings around Walt Disney World. 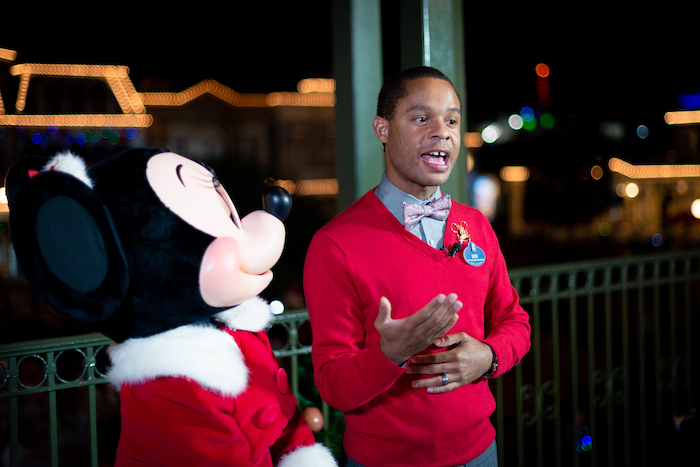 Brandon speaks to media about the holiday happenings at Walt Disney World. Photo by Courtney Reynolds. Toy Story Land has a new holiday overlay, which includes new décor, new character outfits, and on-ride enhancements. Check out this blog post for more details. At Hollywood Studios, Sunset Season’s Greetings features all new laser effects, and “Jingle Bell, Jingle BAM!” has returned for another year. The Epcot International Festival of the Holidays features a new Holiday Kitchen, L’Chaim!, which features traditional Hebrew dishes. New narrators have been added to the Epcot Candlelight Processional, including Helen Hunt, Alfonso Ribeiro, Bart Millard, and Auli’i Cravalho. A Diwali celebration has been added to UP! A Great Bird Adventure at Animal Kingdom. Four new Christmas trees have been added to the Christmas Tree Trail at Disney Springs, including trees inspired by Toy Story, The Haunted Mansion, vintage Mickey and Minnie, and Star Wars. PHEW! That’s a lot of holiday festivities! 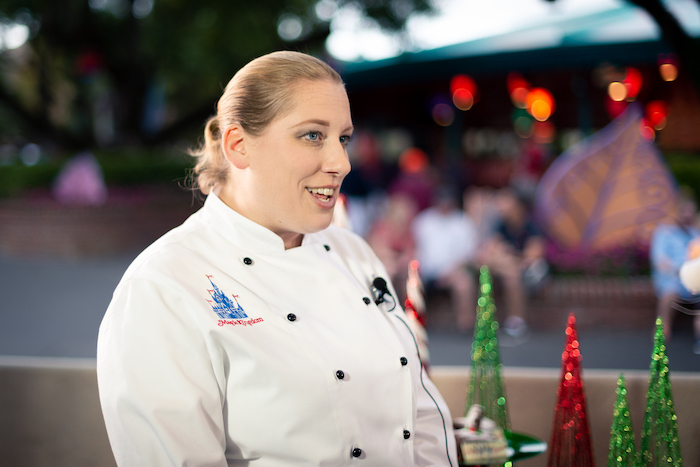 Next, we learned about all the delicious new Christmas Party food offerings – which is always my FAVORITE part of any Disney event! Chef Amy speaks to media about the new holiday food offerings. Photo by Courtney Reynolds. Instead of me trying to explain just how good these treats look, let me SHOW you! 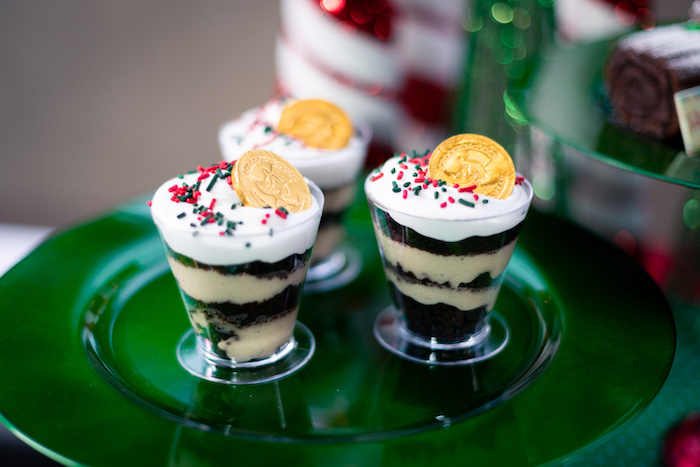 Scrooge McDuck eggnog custard (Gaston’s Tavern). Photo by Courtney Reynolds. Christmas cookie milkshake (Auntie Gravity’s Galactic Goodies) and spiced chocolate yule log (Pecos Bill Tall Tale Inn and Cafe). Photo by Courtney Reynolds. 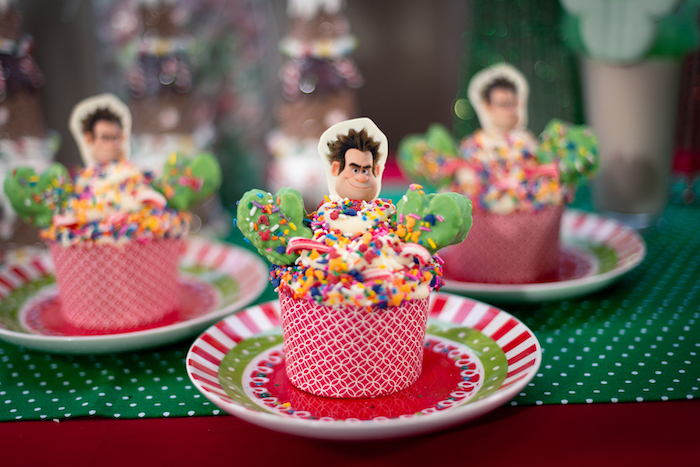 To promote Disney’s new animated film, Ralph Breaks the Internet, there are two Wreck-It Ralph themed desserts this year. Just look at this JUMBO red velvet cupcake! This cupcake is not for the faint of heart! Sugar Rush jumbo cupcake (Main Street Bakery). Photo by Courtney Reynolds. My girl, Vanellope, even has her own dessert! 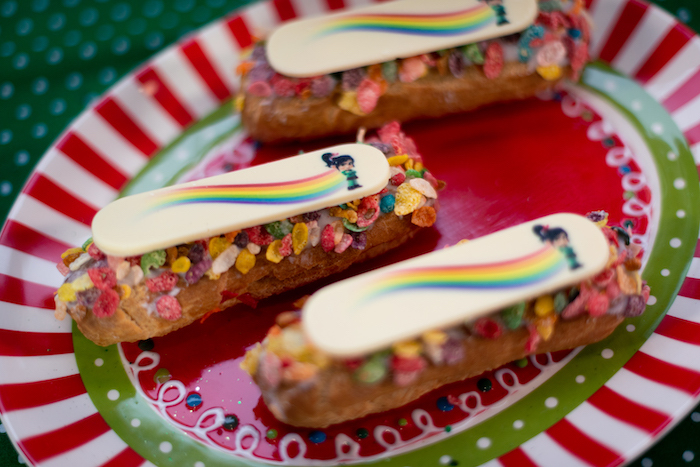 Vanellope éclair (Gaston’s Tavern). Photo by Courtney Reynolds. 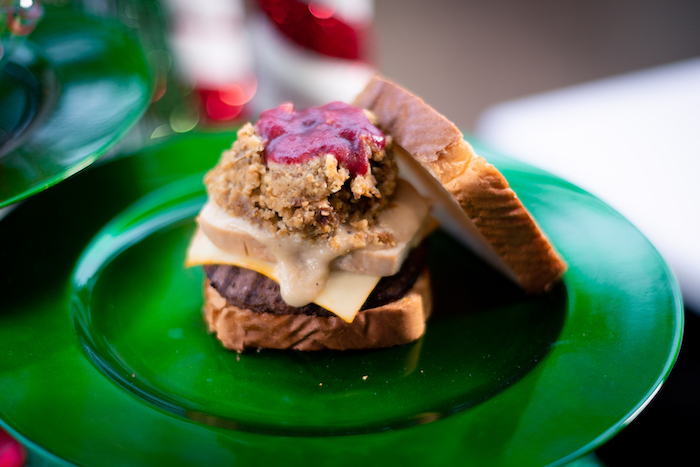 If you’re looking for a something savory, take a look at the Holiday Burger – which is basically Thanksgiving dinner on a bun! Holiday Burger (Cosmic Ray’s Starlight Café). Photo by Courtney Reynolds. 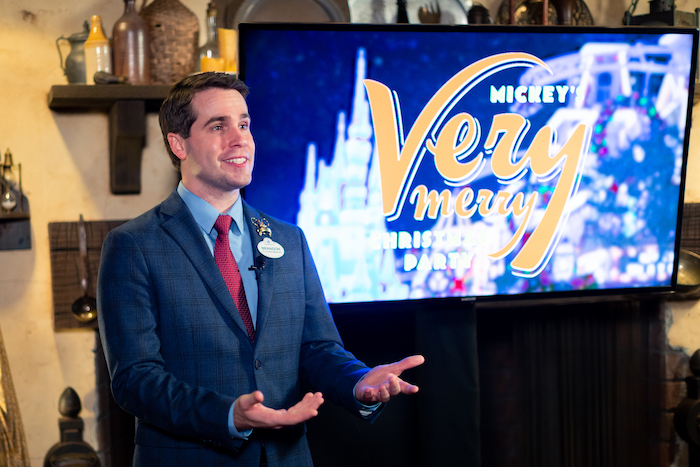 Steven speaks to media about exclusive Mickey’s Very Merry Christmas Party merchandise. Photo by Courtney Reynolds. If you’re like me and love to match your Magic Band with your outfit, there’s an event exclusive Magic Band! 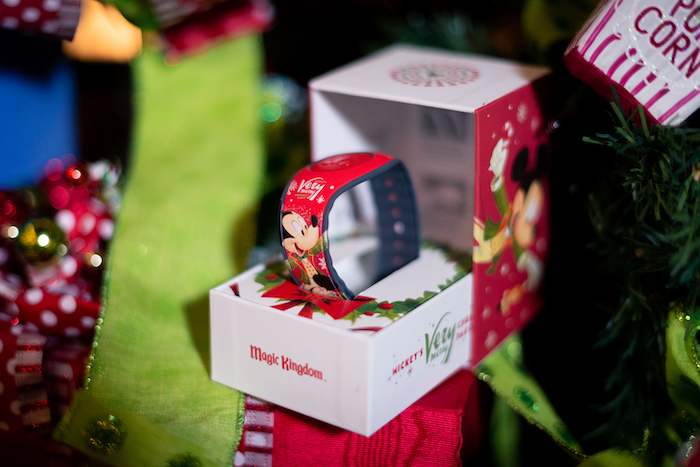 Mickey’s Very Merry Christmas Party exclusive Magic Band. Photo by Courtney Reynolds. 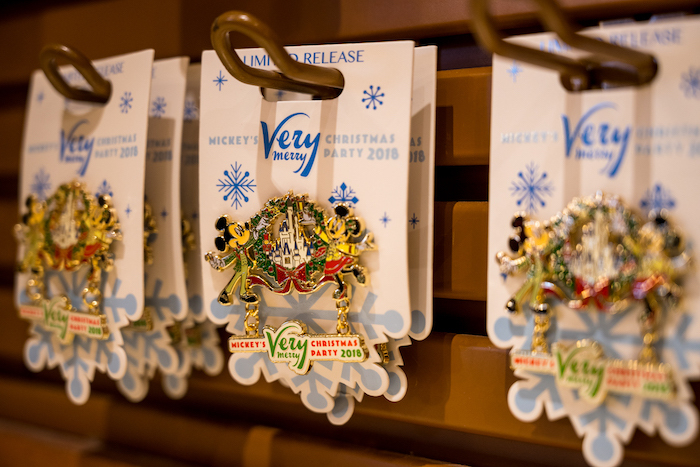 Mickey’s Very Merry Christmas Party exclusive pin. Photo by Cliff Wang. Don’t forget themed event apparel for the whole family! 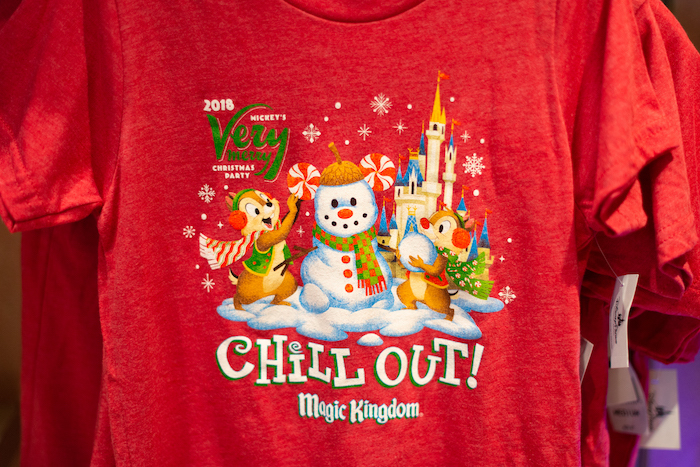 Mickey’s Very Merry Christmas Party apparel. Photo by Courtney Reynolds. Mickey’s Very Merry Christmas Party apparel. Photos by Cliff Wang. 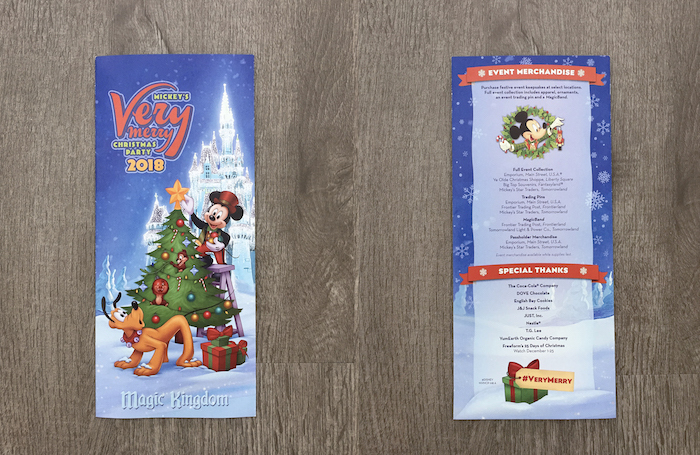 At our last media stop, we spoke with Ken (Walt Disney World Ambassador, 2017-2018) who gave us an overview of all about the fun entertainment we can experience at Mickey’s Very Merry Christmas Party – we’ll have a separate blog post about those details later. Ken was even joined by a very special friend who was kind enough to say hello and wish us a Merry Christmas! Ken speaks to media about the entertainment offerings at Mickey’s Very Merry Christmas Party. Photo by Courtney Reynolds. 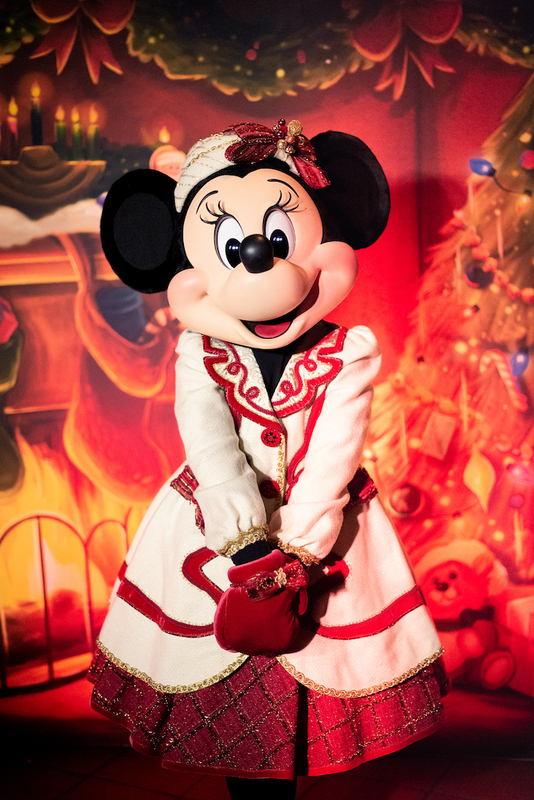 Minnie Mouse poses in her winter outfit. Photo by Courtney Reynolds. After we completed our media stations, Disney invited us to a special media reception dinner where we got to try some of the holiday food available around Walt Disney World. The best part of the reception, however, was the two special guests who made a surprise visit! Mickey Mouse dressed in his holiday best. Photo by Courtney Reynolds. 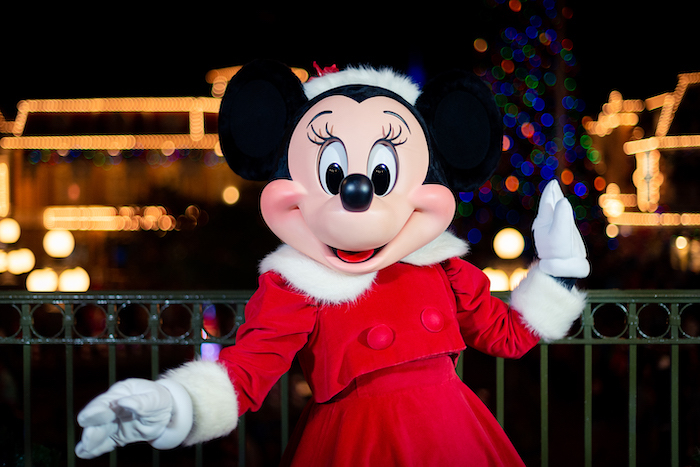 Minnie Mouse dressed in her holiday best. Photo by Courtney Reynolds. Stay tuned for a future blog post covering all of the fun entertainment you can expect at Mickey’s Very Merry Christmas Party! 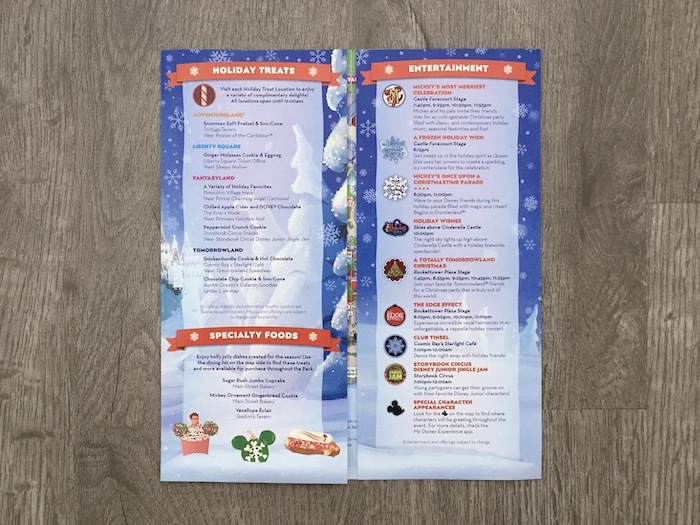 Want more Christmas at Walt Disney World? Subscribe today!